The Barony Players are a registered charity and are fully self-supporting through a team of amazing members, volunteers and friends. We are lucky enough to have our own theatre but it does take a lot of time, effort and money to maintain. We are always happy to meet new volunteers to help for each of our productions. From being on stage, behind the scenes, sound and lighting, making costumes, building props and sets, hosting front of house, we having many areas where you could help and support us. Between productions things don’t clam down! This is when we undertake lots of maintenance and upkeep of the theatre. Sorting costumes, clearing the attic, painting, minor maintenance jobs, cleaning the kitchen, toilets and other areas of the theatre. There are lots of jobs to be done all year round. Come along and help out – we are always there on Monday nights (work night) and Wednesday nights (rehearsal night). The kettle is always on and we’d love to see you. Raise FREE funds for us every time you shop online. 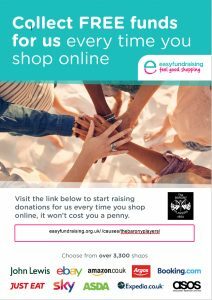 Easyfundraising is a simple way to raise funds for us every time you shop online and it won’t cost you a penny. Simply sign up on easyfundraising.org.uk, select the Barony Players as your chosen charity and start shopping. Easy and FREE! Raise FREE funds for us every time you shop online with amazon.co.uk. AmazonSmile is a simple and automatic way for you to support The Barony Players every time you shop, at no cost to you. 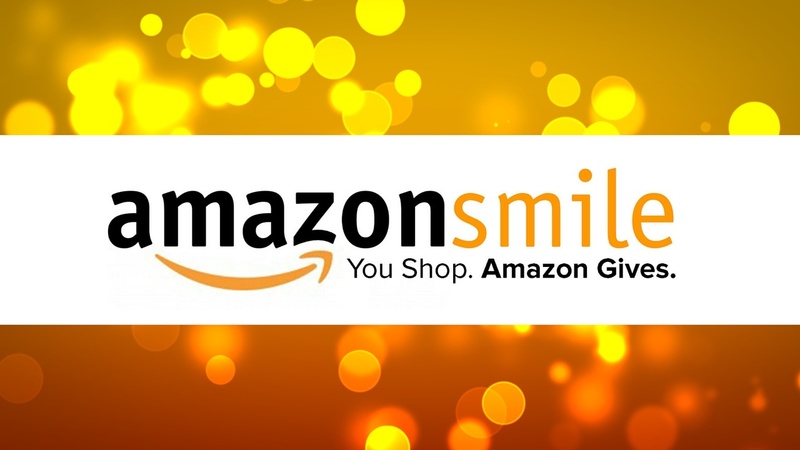 You’ll find the exact same low prices, vast selection and convenient shopping experience as Amazon.com, with the added bonus that Amazon will donate a portion of the purchase price to your chosen charity. You use the your existing account on Amazon.com with AmazonSmile so there really is no difference except that you will be raising funds for The Barony Players as you shop. The next time you are at the theatre, help yourself to one of our Big Project Money Boxes. Fill it up in your time with loose change and once you have filled it, hand it in at the theatre. To date we have raised over £500 from your loose change. Please keep it coming – “mony a mickle maks a muckle“. If you would like to make a one-off or regular donation to the Barony Players and Barony Theatre, you can do so direct to the Charities Aid Foundation bank on the following link. There are several ways that you can support a Barony Players or Barony Youth Theatre production. From placing an advert for your business or upcoming event in our programmes, to sponsoring a page in the programme your many will help us to cover the costs of putting on the production. For further information please contact info@baronyplayers.co.uk. The Barony Theatre is committed to making a lasting impact on community theatre in Bo’ness. By leaving a legacy to the Barony you too can make a lasting impact on the future of the theatre and its role in the Bo’ness community. Anyone can leave a legacy gift in their Will and this special and personal gift can be of any size and support any aspect of our work. Whether you would like to support our youth theatre programme, a specific improvement to the Barony Theatre or simply want to ensure our audiences can enjoy our work for years to come, we hope you will consider remembering us with a gift in your Will. Thank you for considering the Barony in this very special way.